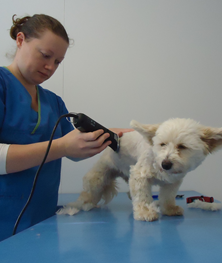 We offer veterinary services for all your domestic and exotic pets both large and small. Services include, preventative health care advice, emergency care, vaccinations, microchipping, desexing, x-rays, ultrasounds, pathology, reproduction assistance, grooming, puppy preschool, weight loss programs, lost and found register, orthopaedic and soft tissue surgery, dentistry, medical workup and management and much more. As a whole, all round genuine care and attention for both you and your pet. We are highly skilled in the care and treatment of horses of all disciplines. 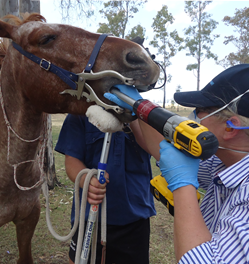 Our equine services cover all general health care advice, disease workup and management, lameness, dentistry, artificial insemination, pregnancy diagnosis, endosopy, field surgeries, x-rays, microchipping and identification. We can assist your cattle production through disease workup and management, pregnancy diagnosis (ACV tail tags available), bull breeding soundness evaluations (by ACV accredited veterinarians), Fixed Time Artifical Insemination Programs, field surgeries, calvings and preventative heath solutions. We support producers with developing Biosecurity Plans and testing for Bovine Johnnes Disease for accredited JBAS 7/8 herds. 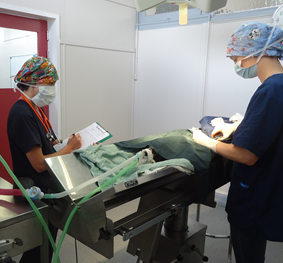 We also offer a full complement of services for all intensive livestock businesses, along with veterinary care and assistance with other farm and production animals.